We provide the perfect party for any occasion: Birthdays, holidays, Scouts, Graduations, Family Get-Together, End-of-the-Season Sports Party. 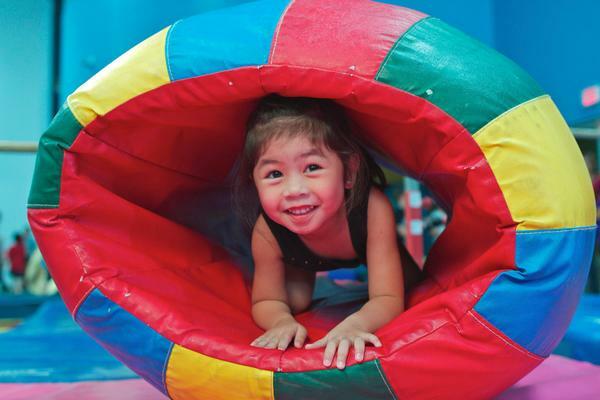 American Kids Sports Center is the perfect place for any reason to celebrate! Birthday Parties can be booked for any Saturday 4 months in advance. Call early to reserve a specific date and time. Invitations included. Feel free to 'double-up' with a friend of a similar birth date. Great for twins or triplets! ($75 non-refundable deposit is required to reserve a date). A 1 hour 45 minute party with 1 hour of fun, exciting challenges. A personal party host stays with each group of children during activity, obstacle courses, trampoline (no-flip format), games and more. Food, fun and gift-giving follow in our party room. A 1 hour 45 minute party including 1 hour private use of our American Splash Pool and 2 certified lifeguards for your young guests' safety. Food, fun and gift-giving follow in our party room.